Joshua Okello is a B.A graduate in Business Administration, International Development and Philosophy. He has exceptional skills in organizing, coordinating projects and capacity building initiatives with key emphasis on livelihood programs; microfinance through savings and credit led models; business development services and entrepreneurial leadership. UFC 196 went down way different than anybody else predicted. Even the champions did not believe what it boiled down to. But one fight that stood out to me was the Conor McGregor vs Nate Diaz’s fight. After taunting each other, calling each other names and expressing notoriety of the highest calibre, things took a different turn in the octagon and the underdog was crowned the king of the cage. Never just talk and if you do then talk after an action. Saying too much before a win makes you irrelevant when you are defeated. When you talk big make sure you act big to have solid premises to back your arguments up with otherwise the public will humble you as it is now happening on social media for McGregor. Humble yourself before people humble you down. You might be a lion but lions should remember that gazelles have horns and lions don’t. Gazelles can charge and pull a surprise. Never underestimate the power of an underdog, look at them like a mountain to climb and not as a slope to descend. They deserve dignity and respect. Never create a lot of enemies. Thank those who make you a hero including those you take belts away from. One thing I admire with the king of Octagon, the Brazilian champ, Anderson Silva is that he is a good Mixed Martial Artist, at the same time he shows respect both in Octagon and outside. He bows and kneels before his opponent whether he wins or not. A lot of leaders forget this but the public admire the humble. People know that arrogance is short lived but staying humble makes you a champion even when you lose. I believe in setting high goals and being better than who I was yesterday but that does not mean that I can move from 145lb to 170lb like Conor did after Rafael Dos Anjos injury. The punch that knocks out 145lb is not the same as the one that knocks out 170lb. When setting goals, make sure you go for those objectives that does not alter your strategy completely. It is safe to have small positive incremental changes than to jump a tall building before you learn how to fly. I admire Conor Mcgregor a lot with this one. Even though a loss is a bitter pill to swallow especially when you are arrogant, he admitted and accepted his mistakes and the defeat. It is the nature of the game; you win some you lose some. They say experience is the best teacher. How could Conor have learned? Only by getting in the octagon and fighting which I respect him a lot for. He did fought, landed clean punches that dazed Diaz until that submission came. “I am humble in victory or defeat. I respect Nate and I will face it like a man, I am still a champion,” – Conor Mcgregor. All in all hats off to Conor and mad respect to Diaz for taking the fight in a 2 week notice. Dear leaders, stay humble! In order for my books to become an official “Bestseller” on Amazon platform, I need to have real customers with real sales and real testimonials posted on the amazon website. What is surprising is that it doesn’t take a million orders to become the best seller. By my estimation, if just 50 people buy my latest book “Natural Laws of Success” (at just US $0.99) this weekend, it will probably top the list of leadership and entrepreneurship category. Will you help me? What is a better way to motivate you to help me so you and a few other readers will buy the book at only $0.99 then just write a nice testimonial and if you like it please rate it 5 stars! I don’t know if only two people will do this favour for me or 100 people but the odds of you winning a $50.00 visa gift card are better than the lottery. Probably 1 out of 15… that’s great odds! THIS WEEKEND I am going to take all the testimonials directly from the Amazon book page, then I am going to put them into a jar and I am going to randomly pull out the winner of the $50.00 gift card. Then I am going to have the $50.00 gift card shipped to your home no matter what country you live in… just for buying a $0.99 and writing a nice testimonial. Remember, if you don’t win, you still get to own and read a really great book on Natural Laws of Success which you probably want to own anyway at only $0.99. And after this promotion, I will raise the price back to retail. Book buyers are given more credibility than non-book buyers. If you write a testimonial on a book that you don’t own, Amazon doesn’t think it is very credible, but if you actually buy it with your Amazon account, they think it is highly, highly credible and put your testimonial higher on the page. This helps new people discover and believe that “Natural Laws of Success” is a great leadership book. Then take a screen shot of your receipt after purchasing the book and send it to jokello46@gmail.com. We all have been in a place where we want to live a life of significance, a purposeful life marked with elusive drive to succeed. But how can we design a life we love? How do we use our objectives to take us there? We’ve talked a lot lately about setting objectives. Objectives are good — great even! But when it comes to leading a life of significance, they’re just the first step. But we cannot master the art of setting objectives without our own defined philosophies. 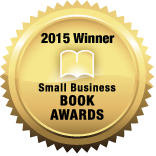 That’s why I’m so pleased to share my new book, Entrepreneurship Philosophia, with you! It’s a powerful foundation for making sure that the objectives you set add up to the life you want. It will guide you on how to design your own philosophy to success. Do you have a philosophy? Has that philosophy led you to a life of significance? You can either intentionally pursue a life of significance or you can unintentionally drift into the nonsignificant. This book brilliantly teaches how to do the former while avoiding the latter. Get it, read it and live it. The reason why people fail to succeed is because they get too reluctant implementing the goals they’ve set. This is because success always come dressed in work clothes instead of something adventurous and fun. 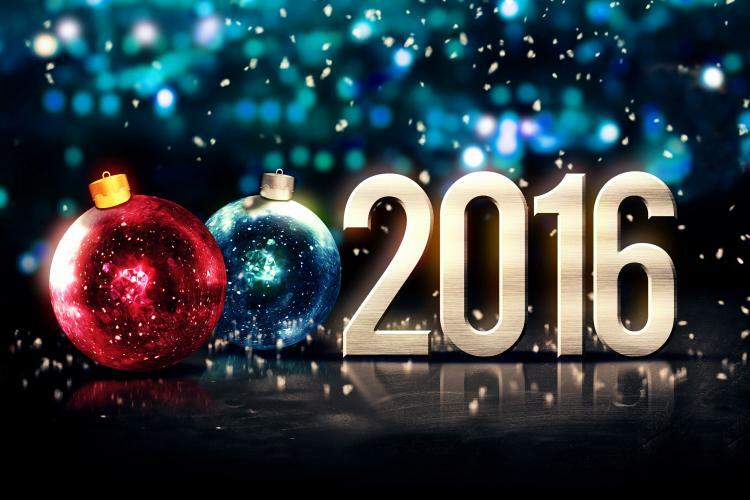 This is how you can make 2016 a successful year for you. Never set more than 5 goals to achieve in one year. Anything past 5 always become a chore or a to do list. It makes objectives boring and work less fan. If possible have only 3 goals and make sure you give them your best. To be successful, sometimes you have to swim with the currents. Things will not go your way and in some instances you will be forced to abandon your objectives in order to achieve them. One thing you need to remember is to never lose focus on what is important. Be faithful to your set objectives and execute them with unrelenting pursuit. A wise man once made an alarm clock and a lazy man found a way to introduce a snooze button. The lazy man’s clock sold out. We try to be too comfortable when pursuing our goals yet we are not staying faithful to our objectives. We are the first people to give a reason on how busy we are to appoint where we cut communication with friends, family and sometimes even our customers. But where do we really spend our time? Are they on worthless destructions that we intentionally choose to entertain in our daily lives? What if we were to spend one our per day writing or reading or even calling our customers? We will have spent 365 hours in a year doing something that builds us. But do we save that time for something productive? You can answer that. In 2014 I made sure that I paid attention to people who would help me further my dreams and the results were obvious. These teams pushed me to wake up early in the morning, go for meetings that I wanted to ignore, write on topics that I knew were good but did not choose to write on. This accountability alliances redesigned and pushed me to be the greatest I have ever been. Find a team that is dedicated enough to pursue success. I dislike not getting things I want because I do not know how to make them. There are two ideas that can help you do whatever you dream of: 1- finds people who already know how to do it and let them do the work for you or 2- spare some time and learn it. After mastering the technique then make it yourself. The second option has worked for me especially in programming. I always wanted to know and understand coding I realized that wishful thoughts never make a dream come true. So I sat down and started coding, using free resources online, working with programming gurus until now that I can do a bit more using PHP language. If you thirst for it so bad, you will hunt for it desperately until you get it. Do not stand on your way to success. Let 2016 be a breakthrough year for you. Wishing you a prosperous New Year. Leave a comment if you found this website helpful. Thank you. In this post, I am going to share with you what motivates me to write or how I source my writing inspirations. Writing is one of the ways that I use to elevate myself into a cathartic experience. It takes me out of this world and connects me with the world unseen. It makes me develop ideas that have never been developed, dreams that have never been dreamt, visions that have never been visible and thoughts that have never been explained. So how do I do it? The following points elaborate in details how I got hooked to the world of writing. We can only act if we are compelled enough to go beyond our comfort zones. We have to be ready to work beyond average to make our dreams come true. To do this we need a motto or a compelling reason, a driving force to keep us enthused. I have the same motto on my desk, on my computer log in screen, on my phone wall paper and on my note book cover page. The moto is in Latin and it is; “docendo disco, scribendo cogito” which translates to “I learn by teaching, think by writing.” Build your own motto and pledge allegiance to it. We are living in an era where writing has been made so easy and if you do not like typing, there are free software out there that you can use to record your ideas and transcribe them in a document. How easy can it get? (You can try e-speaking, dragon or windows speech recognition softwares) I have written three books, two published and the third one is on its way launching early next year as I work on the fourth one which is halfway done. All my four books were written on a smartphone. Find a gadget that you can learn how to type on quickly and master its use. In my case, it is a BlackBerry phone because of how its typing keyboard is set. I can type on that phone at the same speed at which I think my ideas. Know what works for you and master it to the best of your knowledge. I have talked with writers who can only develop new ideas when they are in a candle lit and very quiet room at a given time of the day. That is what works for them but what works for you? In my case, I have to be in motion to be able to generate new ideas. All my four books were written while riding a subway to and from my office. I spend two hours on the subway every day for 5 days meaning that in a whole week, I spend ten good hours on a subway ride. Why not use those to teach myself something about myself that I did not know? As a self-employed entrepreneur, time management is critical to my success. If I am not writing then I am at work and if I am not working, I am reading/learning and if I am not doing any of those, I am with my family and or friends. An example I have given above captures where most of us lose hours and lost hours can never be recovered. Find an area in your life where you lose one hour a day and try to utilize that hour to learn or do something new five times a week. You will be shocked at how much you learn and how much you teach the world. You can have a group of friends to hold you accountable for your success in writing. In my case, I have over 105,000 followers on twitter, and these are people who actively engage with my content every single day. That is my source of accountability pushing me to post at least a blog a day. You can have family, friends, your social media tribe or any other ways you can think of to hold you responsible over your credo you set. Leave a comment if you found this helpful. Thank you. 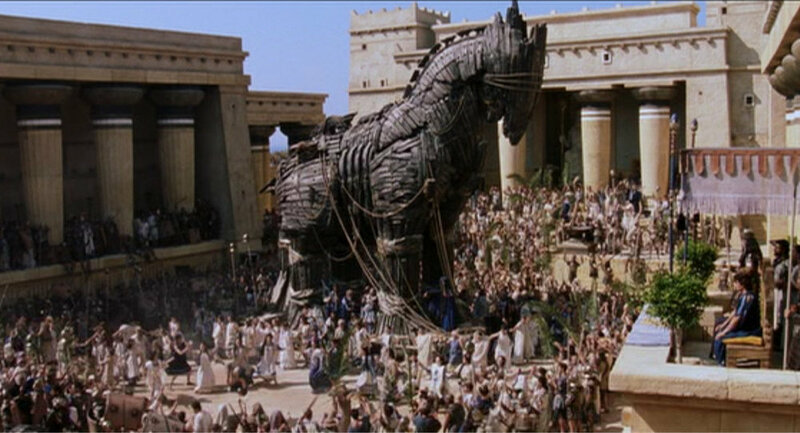 Call it deceit, decoy, a subterfuge or a success, the Trojan Horse helped Greeks defeat the Troy. This is a tale about the trick that the Greeks played on the city of Troy to win the war. After a fruitless 10-year siege, the Greeks constructed a huge wooden horse and hid a selected force of men inside. The Greeks pretended to sail away and the Trojans pulled the wooden horse and opened the gates for the rest of the Greek army, which had sailed back under cover of the night. The Greeks entered and destroyed the city of Troy decisively ending the war. This is a metaphor of cause. But do you have a Trojan Horse? What is your last resort? You have to build a Trojan horse when life throws tantrums at you. That moment when you feel defeated, when all hopes are gone, when you become a slave to defeat, that is when you build a Trojan Horse. A Trojan Horse was the Greeks last resort and you can also build one. It took Greeks 10-years to win the war, to succeed you must have patience. These are some of the ways that I used to build my Trojan Horse when I was faced by defeat. I had dreams of becoming the greatest I can ever be and to date I feel like there is still more Troy cities to conquer in my life. It took me 10-years since I graduated from high school to master my skills in business administration, philosophy, writing, programming (coding), sales and to be who I am today. Success never come easily, you must exchange it with time. Give your time and you will reap success in return. We all have days that we live in infamy, but with patience we can turn those moments around to be our precious days of change. You might be wondering how you can build masters if you yourself is not one. Good news, you do not have to be a master to build a master. By simply learning to inspire and attracting people to work with you, you are already a master. This new team you are building are the ones who will go in the Trojan Horse to open gates of success for you so your army from the ship can take over. If you know people with skills that can help you where you want to be, you have to learn to attract them. Build a high affinity for success and people will be attracted to you. If you are keen enough, you probably know that people need people. We cannot succeed alone. We need others to join hands with us to succeed. Tyranny of numbers is a statistically supported theory that states that the person with the highest number wins. 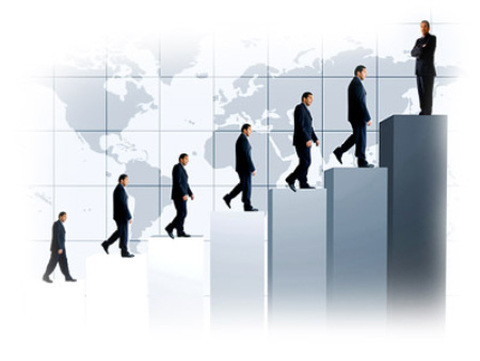 On your way to success, you should build legions of followers. View yourself as the head of the cult that everybody must listen to. This is the army that will take down Troy (your challenges) after the masters of war have opened gates for them. Win by numbers but make sure that you only get those people who you can learn from and that can be of help to success. If you understand the Greek and Troy controversies, nobody walked home a winner. A victory was for the people not for a person. Let your team win, give recognition where necessary and motivate people to work. The Greeks offered the wooden horse an incentive to the Troy for their greatness. It was a free gift for winning all the victory and that became the bait that was used to capture the city of troy by the Greeks. The easiest way to build a following today is by giving incentives. Think of companies such as Facebook, Google, you do not have to pay to use them. It is all free yet they are the one with the greatest wealth in the entire world. Build a Trojan Horse and manage the plot to success. Build teams that are reliable and let them do what they are good at. Never be on any ones way to success. Sometimes it is by letting others lead that leaders become the greatest they can be. Have you ever wondered why things are slow on your side? Working so hard but limited success or no success at all? 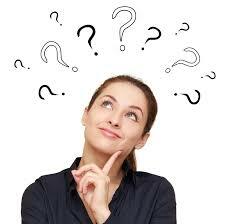 Have you asked yourself why you see no growth in your endeavours? What could be wrong? This post is going to answer this question for you in a question form. Can a question answer a question? To be successful, it is important to ask the right questions and answer the right ones. Not every question needs an answer. Often times we spend our time answering wrong questions that never lead us to success. Why? Because they are easy, no-brainer and they push us in a comfort zone leading to mediocre performance. The two questions that always get people confused are: “What can you do?” And “What can you do the best?” Most people rush into answering the first question and ignore the second question. Every successful athlete knows that they can do it all but they chose to master only one skill. This is because they want to be the greatest in what they do. I know you have asked yourself what you can do. Right now, I challenge you to take action and ask yourself what you can be the greatest at. Life is not all about doing everything, but doing only those things in small bits that makes you the greatest you can ever be. After answering the question “what can you be the greatest at?” it is now time to draft a plan on how to be the greatest. If it is writing, start now! If it is jogging, start now! If it is coding, start now! And if it is designing, start it now. What can you do? Or what can you be the greatest at? Which one is more appealing to you?